DDR3 SDRAM. Number of Modules CAS Latency PC3-10600 (DDR3-1333). Bus Speed Bus Clock DIMM 240-pin. Form Factor. 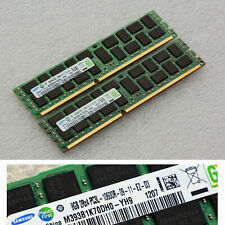 Samsung 8GB PC3-12800 DDR3-1600MHz RAM memory module. Condition is used but in excellent condition and fully working. Picture is of exact item for sale. Listing is for a single 8gb module. I have four of these for sale. Pulled from a retired Dell T110 II server. This may delay your order but you will be advised in this instance. IT project surplus. Go on. check it out.font>. Part number M393B1K70CH0. Module Capacity 8GB. Founded in 1981, we are expert suppliers of new and refurbished HP IBM and DELL server hardware. 2RX4 PC3L 10600R. TESTED AND REMOVED FROM A WORKING SERVER. GENUINE SAMSUNG PRODUCT. These sticks are fully tested and in perfect working condition. The Samsung part number is M393B1K70CHD-YH9. We will resolve the problem directly with you. The Samsung part number is M474B1G73BH0-YH9. We will resolve the problem directly with you. Samsung 8GB PC3-14900R. Capacity: 8GB. Manufacturer: Samsung. This does not affect your statutory rights. Data Security. All images of our products are for illustration purposes only. Schools & Educational Organisations. 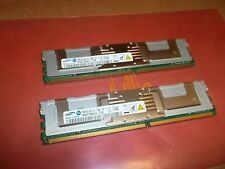 OEM Part Number: 8GB DDR3 14900R 2RX8. Rank: 2RX8. Capacity: 8GB. All of our RAM sticks are tested before dispatch. A forklift is not required. We are aware that mistakes and problems can always occur but we will endeavour to get any issue resolved as quickly and fairly as possible. 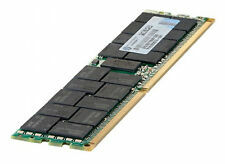 168GB - consists of 21x 8GB modules. x3400 M3 7378. x3755 M3 7164. x3650 M3 7945. x3650 M2 7947. x3630 M3 7377. x3620 M3 7376. x3550 M3 R4 7944. Pulled out of a working server, due to capacity upgrade, tested, working, no issues. It has been tested in a server and it works just fine. HP Gen 7 and Gen 8 Server compatible. Should work with DELL servers too. COMPONENT RANK: 2RX4. ERROR CORRECTION CODE ( ECC ): YES. COMPONENT DENSITY: 8GB. MANUFACTURER: SAMSUNG. PART NUMBER: M393B1K70QB0-CK0Q8. Credit or Debit Card accepted Worldwide. All refurbished hard drives are data wiped to NCSC standards. Type: DDR3 240-PIN DIMM. Capacity: 8GB. Manufacturer: Samsung. International Orders. Samsung 8GB PC3-12800R Manufacturer: Samsung. Capacity: 8GB. Peak Transfer Rate: PC3-12800R. Pins: 240 Pin. Rank: 2Rx4. 48GB - consists of 6x 8GB modules. X4170 M2 Server. x3755 M3 7164. x3750 M4 8722. x3650 M4 7915. x3650 M3 HF 5454. x3650 M3 7945. x3630 M4 7158. IBM Numbers IBM 47J0169 90Y3109. PC3-12800R 2Rx4 ECC REG. Samsung Manufactured compatible with the following IBM X Servers. IBM System x iDataPlex dx360 M2: dx360 M3. IBM System x3400 M2 7836, 7837xxx. COMPONENT RANK: 2RX8. COMPONENT DENSITY: 8GB. MANUFACTURER: SAMSUNG. CAS LATENCY: CL13. From working SERVER. TESTED AND WORKING WITH HP SERVER. THERE WILL FIND UNIQUE TREASURES. BARGAIN PRICE. condition on the photo. (Security marked). Most recently tested in IBM x3650M4. SMALL PRINT. 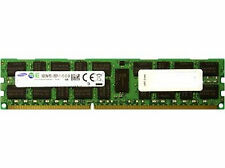 Form FactorDDR3 DIMM 240-Pin. Bus SpeedPC3-10600 (DDR3 1333MHz). Samsung M393B1K70DH0-YH9. ECCECC (Error Correcting). CAS LatencyCL9. ProfileStandard Profile. Data Transfer Rate 1066Mhz. Capacity 8GB. Rank Rank 4.